Former APRC Champion Jan Kopecký (CZE) staged an amazing comeback drive to win the WRC2 category at 2018 ADAC Rallye Deutschland by 3.8 seconds! Kopecký lead from the out-set on Friday, but then lost time on Saturday morning with a puncture that dropped him to ninth place. With six fastest times Kopecký and co-driver Pavel Dresler climbed back to third place at the end of Saturday, taking the lead back on the penultimate stage on Sunday. While it was his first time on the all-tarmac event, 17-year old Kalle Rovanperä and co-driver Jonne Halttunen both from Finland, finished a sensational second with Italian privateers Fabio Andolfi/Emanuele Inglesi in third place making it an all ŠKODA finish podium. 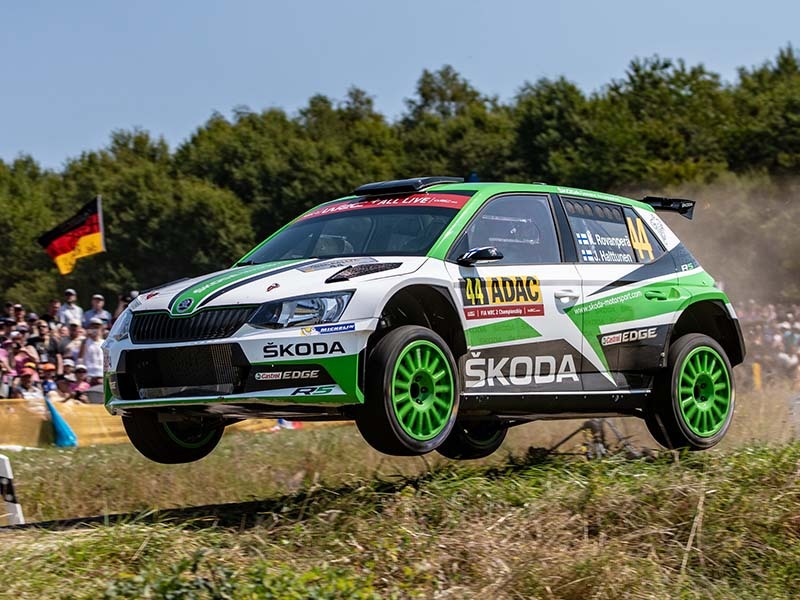 Former APRC crew Fabian Kreim and Frank Christian (DEU/DEU) from ŠKODA Auto Deutschland delivered an impressive performance on their home event as well and finished a respectable fourth. 4. Kreim/Christian (DEU/DEU), ŠKODA FABIA R5, +50.9 sec.